There are many different types of evaluation. 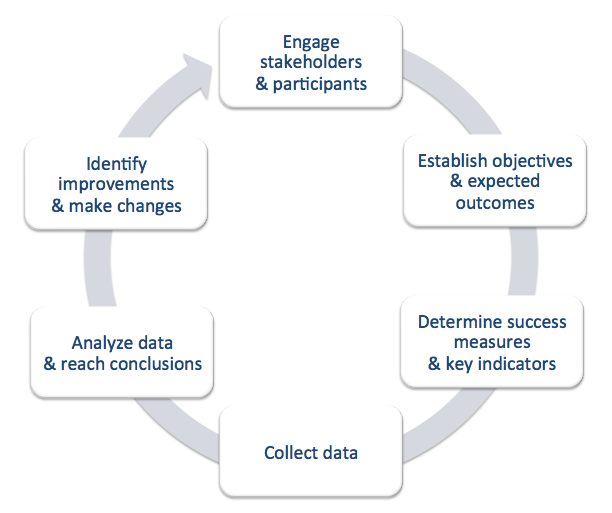 This toolkit provides information on output monitoring, process evaluation, and outcome evaluation. By exploring the following subsections, you will learn strategies for developing your own evaluation for mentoring programs for youth facing multiple barriers to success. 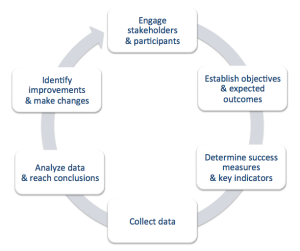 Visit Key Resources on Evaluation for general evaluation guides and practical tools to help you plan and conduct your own evaluation. Preskill, H., & Torres, R. T. (1999). Building capacity for organizational learning through evaluative inquiry. Evaluation, 5(1), pp. 42-60.